The SR50 Speedo Chain Cutter nozzle is a super high speed nozzle for cutting tree roots, rust scale and heavy blockages from 150mm pipe. 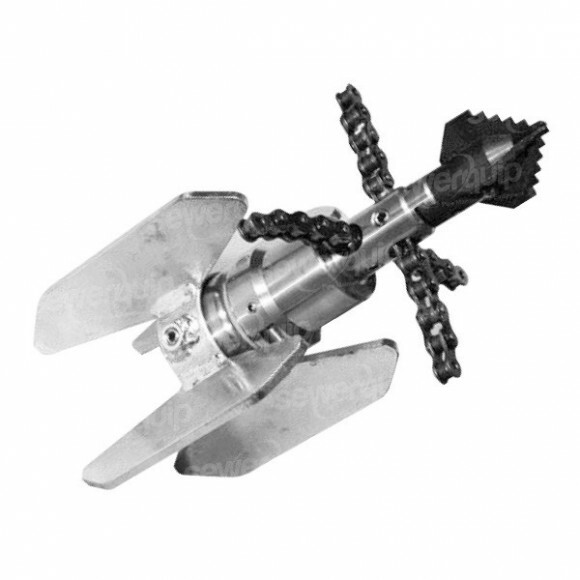 Supplied with centre cutter, link chain and ceramic jets. Made in Germany.